In spite of the nation’s commitment through the National programs for prevention and control of anaemia for many decades, iron deficiency anaemia during pregnancy continues to be rampant in our country with a prevalence of 50%-90% across our country [1-3]. Anaemia directly causes 20 percent of maternal deaths in India  and a daily supplement of 65 mg ferrous iron has been found to reduce the frequency of preterm birth and low birth weight . The attitude and knowledge of the pregnant women about anaemia and supplements is probably the missing link and is an important factor as a barrier or motivation for intake of iron supplements which have been made freely available to all pregnant women. Poor communication from health care providers and scepticism towards efficacy and necessity, side effects and poor supply have been found to be barriers of compliance for iron intake by a few authors [6-9]. This work was undertaken to study the socio-demographic factors, awareness, beliefs about anaemia and iron tablets and factors hindering intake of iron tablets among the pregnant women and their influence on occurrence of anaemia. 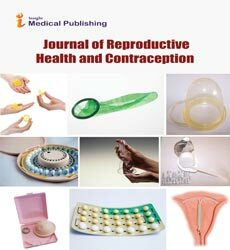 This cross-sectional study was conducted on consenting pregnant women in their third trimester (>28 weeks) attending the antenatal clinics of a tertiary care centre in south India, through a structured questionnaire. The study was approved by the Institute ethics committee. The domains of the questionnaire included socio-demographic profile including the age, parity, education status, family type and income. The number of antenatal visits and the place of visit were also included. The domain also included the awareness level about anaemia, its affects, diet rich in iron and awareness of their own haemoglobin level anaemia. The attitudes tested included the need to take iron and any beliefs or myths about iron intake. Finally the practices regarding the actual intake of iron in the method prescribed was noted. The factors hindering the intake in those who did not take iron regularly were also included in the questionnaire. Assuming the prevalence of anaemia as 50% and alpha error of 5% the sample size required was 400. More women were recruited to reduce the data loss due to incomplete response. All consecutive pregnant women fulfilling the eligibility criteria were included in the study. After informing them about the study, those who consented to participate were included and the data collected through the questionnaire by open ended interview. The hemoglobin level in their third trimester was noted down from their antenatal records. Data processing and analysis was done using the SPSS software package. Mean (SD) was calculated for the quantitative data like age. The percentage of anemia, awareness about anemia and its effects, positive or negative attitudes and intake of iron among these women was calculated. The difference in proportions was compared by chi-square test in the anemic and non-anemic groups. Multivariate analysis was carried out to predict the influence of factors related to awareness and attitude on anemia. A total of 599 pregnant women in third trimester were included. The mean (SD) age of the study participants was 24.6 (3.9) years. Of total 492 (82.1%) of the women were between 20 and 29 years and 35 (5.8%) were teen aged. Table 1 shows the demographic data on residence, type of family, occupation and education of the study group. The mean period of gestation was 32.8 weeks. 50% were primigravidae. Only 3.7% had 2 or more living children. 28% had their antenatal check-ups at all three places i.e., government hospital as well as primary health centres and with private practitioner. The antenatal visits ranged from 2 to 25, with a median of 7 visits. Of total 373 (62.3%) were anaemic (34.6% mild, 27.2% moderate and 0.5% severe), (Figure 1). Regarding awareness about anaemia, 79.3% had heard about anaemia though only 36% considered it as a serious problem. Only 207 (35%) of the study group were aware of their haemoglobin levels. Only 38% of the study group were formally counselled during antenatal visits about anaemia. The source of information for anaemia and iron intake in our study was private clinic doctor in 22% and targeted education classes in 24%. A total of 97.2% report to have taken iron pills during pregnancy, but only 288(48%) took it regularly. And among those who do not take it regularly 27% think it is unnecessary, 35%% forget to take, 51% suffer from side effects like nausea , vomiting, abdominal pain, distaste or constipation, 22.5% attributed to non-availability (more than one response) as the reason for not taking iron tablets (Figure 2). 17.4% could not enumerate any food item rich in iron. Regarding negative beliefs 22% felt baby will become dark, 8% felt baby will grow very big and 5% felt both. 65% of pregnant women have no negative beliefs. Table 1: Demographic profile of the pregnant women attending the tertiary care centre in south India (N=599). Figure 1: Prevalence of anaemia the study participants. Figure 2: Reasons for irregular iron intake among study participants n=311 (more than one response). On bivariate analysis, anaemia was found to be significantly higher in those not aware of their haemoglobin levels (Chisquare =4.831, p-value=0.027), those who belonged to rural area (chi-square=4.937, p-value=0.024), those who had negative beliefs about iron tablets (chi-square=32.056, p-value=0.001), housewives (chi-square=4.736 p-value=0.030) and those who were not counselled about anaemia in the antenatal period. ( chi-square=25.136 p-value=0.001). The knowledge about iron rich food did not influence the anaemia status. On applying multivariate logistic regression analysis women from rural areas, myths about iron intake and lack of counselling by health workers were found to be significant predictors of anaemia, (Table 2). Table 2: Multivariate analysis for predictors of anaemia among pregnant women attending the tertiary care centre in south India (N=599), Other variables like awareness of haemoglobin and occupation were not found to be significant predictors of anaemia. Our work attempted to study the influences of the demographic variables, level of awareness about anaemia and the various beliefs regarding iron intake on the actual anaemia status of these pregnant women. In the study on refugee pregnant women in Gaza strip by Marwan Shelda, the level of awareness on anaemia, its causes and ill effects on pregnancy was much higher (>86%) amongst their subjects than the women in our study . Possibly because as many as 68% in their study compared to 24% in our study had undergone targeted health education classes. The age group, education and occupation status of women in their study was similar to that in our study. However, in their study only 15% were primigravida and 70% had three or more children. Contrastingly in our study nearly half were primigravidae. These authors did not look at how many of the women who participated in their study were actually anaemic. In another KAP study carried out at the gynaecology OPD of Federal Government Services Hospital (FGSH) Islamabad, the authors found that 34% were not aware of the problem of anaemia . They found 18% women could not enumerate any iron rich food. They observed that as the educational level increases the knowledge about iron rich food increases. However, they found no significant relationship between knowledge regarding iron rich food and the subsequent practices. They noted that the most common reported reason for not utilizing iron supplements was their side effects and perception that supplements have no benefits. In our study 17.4% could not enumerate any food rich in iron. We did not find any significant influence of knowledge about iron rich food and the actual anaemia status in the women. We also observed that side effects, perception that iron is unnecessary and forgetfulness as the important reasons for irregular intake of iron. We found that counselling through education on nutrition and anaemia had a significant influence on the haemoglobin level of the patient. Only 49% of those counselled in comparison to 70% of those not counselled were anaemic. In an interventional study conducted in Chandigarh, the authors found that health education through small group lectures, role play and with the help of medical professionals had a significant positive impact on knowledge of anaemia and its cause . These authors further observed that there were significant changes in the attitude of intervention group. In intervention group, 93% women were in favour of including green leafy vegetables in their diet compared to 67% in control group (p<0.001). Forty seven percent women in the intervention group knew their anaemia status compared to 20% women in the control group. In a systematic review of twelve articles spanning over seventeen countries, seven domains and sixteen sub domains emerged from the meta synthesis . The authors concluded that there is agreement that anaemia is a serious health threat to women. Commonality of the problem, failure to recognize the symptoms, negative association of iron as a medication were the barriers pointed out and involving the women themselves, targeted education of the women and the pill providers to improve spreading education to women were pointed out as common facilitators. In the study by Mbule et al., the study population was mostly rural and 58.2% were from 15- 25 years of age group . 44.7% of their women had primary level or less of schooling. In contrast in our study only 4.6% had primary level or less of schooling. In their study the prevalence of anaemia was at 64% which is similar to 62% in our study. In their study only 6% made minimum 4 antenatal visits. In contrast in our study the mean ANC visits were 6.7 and all had at least made 2 visits. We could therefore not analyse the impact of education and the number of antenatal visits on anaemia. It also reflects that in spite of being educated and having attended the antenatal clinics regularly, anaemia is prevalent and iron intake compliance is poor in Pregnant. Thus the authors feel that there should be targeted counselling and education about anaemia and its adverse effects and about the need for iron supplementation. Pregnant women need to be informed about the variety of iron salts available in case of side effects including the parental ones so they are encouraged to report side effects to switch over to alternative formulations. The counselling should also focus to inform them of their haemoglobin levels and motivated to increase to non anaemic levels. World Health Organization (2008) Worldwide prevalence of anemia 1993-2005. WHO Global Database on Anemia, Switzerland. Toteja GS, Singh P (2004) Micronutrient profile of Indian population.New Delhi: Indian Council of Medical Research. Agarwal KN, Agarwal DK, Sharma A, Sharma K, Prasad K et al. (2006) Prevalence of anemia in pregnant & lactating women in India. Indian J Med Res 124:173-84. Maternal Mortality in India (2008) Registrar General of India. Cogswell ME, Parvanta I, Ickes L, Yip R, Brittenham GM et al. (2003) Iron supplementation during pregnancy, anemia, and birth weight: a randomized controlled trial. Am J Clin Nutr78:773-781. Tessema J, Jefferds ME, Cogswell M, Carlton E (2009) Motivators and barriers to prenatal supplement use among minority women in the United States. J Am Diet Assoc109:102-108. Lutsey PL, Dawe D, Villate E, Valencia S, Lopez O et al. (2008) Iron supplementation compliance among pregnant women in Bicol, Philippines. Public Health Nutr11: 76-82. Galloway R, Dusch E, Elder L, Achadi E, Grajeda Ret al. (2002) Women's perceptions of iron deficiency and anemia prevention and control in eight developing countries. Soc Sci Med 55:529-544. Ejidokun O (2000) Community attitudes to pregnancy, anemia, iron and folate supplementation in urban and rural Lagos, south-western Nigeria Midwifery,16:89-95. Marwan S, Salama M (2002) Awareness Of Anemia Among Pregnant Women At Unrwa Clinics In Gaza STRIP.ThesisSubmitted in Partial Fulfillment of the Requirements for the Degree of Master of Science in Public Health Umeå International School of Public Health Epidemiology and Global Health. Ayesha Md, Farwa R, Ghazia Irfan (2012) Impact of Maternal Education, and Socioeconomic Status on Maternal Nutritional Knowledge and Practices Regarding Iron Rich Foods and Iron Supplements. Ann. Pak. Inst. Med. Sci 8: 101-105. Manmeet K, Kamaljit S (2005) Effect of Health Education on Knowledge, Attitude and Practices aboutAnemiaamong Rural Women in Chandigarh Indian Journal of Community Medicine, Vol-26. JasonM,Lisa RG, Francies KB (2005) Social determinants of iron supplementation among women of reproductive age: a systematic review of qualitative data. MbuleMA, Byaruhanga YB, KabahendaM, LubowaA (2013) Determinants of anemia among pregnant women in rural Uganda. The international electronic Journal of Rural and Remote health research, education, practice and Policy.